Okay teens, tweens, and other things, we get it. You like Bigfoot too. We don't want to upset the Justin Bieber crowd. Nickelodeon often referred to as Nick, will be kicking off "Beyond Belief Weekend." This weekend they promise some of the weirdest, spookiest, unexplainable stuff ever to air on Nickelodeon. This means two of the shows will feature Bigfoot. iCarly and Back at the Barnyard. iCarly is about a parent-less girl and her video blog, and Barnyard is a pretty funny animated cartoon about, well, barnyard animals. Remember kids you heard it here first! Bigfoot fever hits Seattle when hikers take some fuzzy footage of a suspicious figure in the woods. 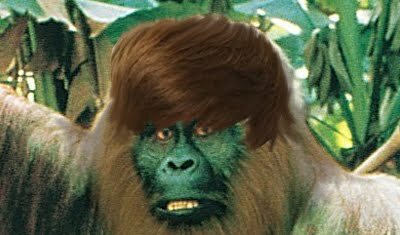 After an expert validates the footage on the web show, Carly convinces the gang to take Socko’s RV upstate and join the search for Bigfoot. 11:00 a.m. – Back at the Barnyard: "Otis vs. Bigfoot"
the animals go Bigfoot hunting! Back at the Barnyard: "Otis vs. Bigfoot"